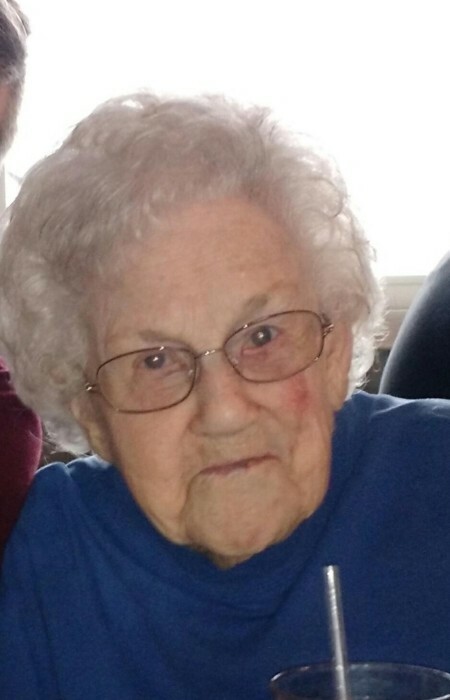 Frances Simmons, 94, of Hillman passed away Friday, February 1, 2019 at Hillman’s Haven AFC Home. Annie Frances Slayton was born in Tuscaloosa, Alabama on January 15, 1925 to the late Frank and Jewell (Hargrove) Slayton. She enjoyed reading and loved animals. Surviving are 3 children, Linda and Neil Bell, Shirley Michaels, Ray Simmons; 5 grandchildren; 15 great grandchildren, 1 great-great grandchild and a sister, Sharon Jensen. Mrs. Simmons was preceded in death by a great granddaughter, 2 brothers, John Slayton and Wade Slayton. A private graveside service will take place in the spring at Hillman Rust Township Cemetery. Arrangements have been handled by the Bannan Funeral Home in Hillman.